TOURSGALLERY has produced an escorted small group tour to Japan that will take guests behind the scenes, to meet Japanese artisans in their working environment. 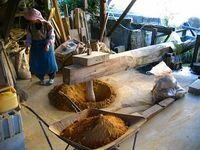 Watch potters at work, see a village craft artist making hand made paper and visit a local flea market that sells everything from second hand wedding kimonos to antiques at bargain prices. Learn about the history and making of Noritake Ceramics, discover the pottery of Karatsu, Imari, Koishihara and Arita. At a traditional indigo dye works the master will demonstrate his technique of hand dyeing and his wife shows visitors how to use a hand loom. 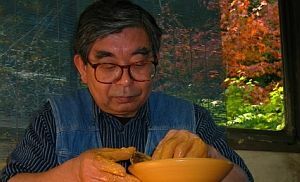 See the making of Shizuoka lacquer ware, silk weaving, Paulownia wood furniture and washi hand-made paper. Visit a working tea plantation and in Arimatsu see the traditional craft of Shibori dyeing. Guests on Toursgallery's Behind The Scenes Tour will also visit Kumamoto Castle, a selection of traditional landscape gardens, temples, shrines and the magnificent MIHO art museum. 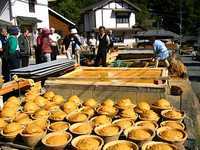 Japan hides real treasures for people seeking a mixture of traditional culture and equally colourful rural countryside. Kyoto's gardens reach their peak of autumn colour from mid November, with bright golden Gingko trees and brilliant red Maples. This Toursgallery 15 day escorted autumn tour, priced at $7,998, commences in Tokyo on 14 November. An English speaking guide, buffet dinners and banquets of fine Japanese cuisine and private charter coach transportation are all included. Accommodation is in a selection of spa resorts, western hotels and traditional Japanese Inns. For brochures phone toll free 1300 307 317 or for more information visit Tours Gallery.